If you think you haven’t heard Heather Morgan recently, you probably just haven’t turned on the radio. Heather’s co-write with Ross Copperman and Brett Eldredge, “Beat of the Music,” just went #1 for Brett. Sara Evans’ “Slow Me Down” peaked at #17. 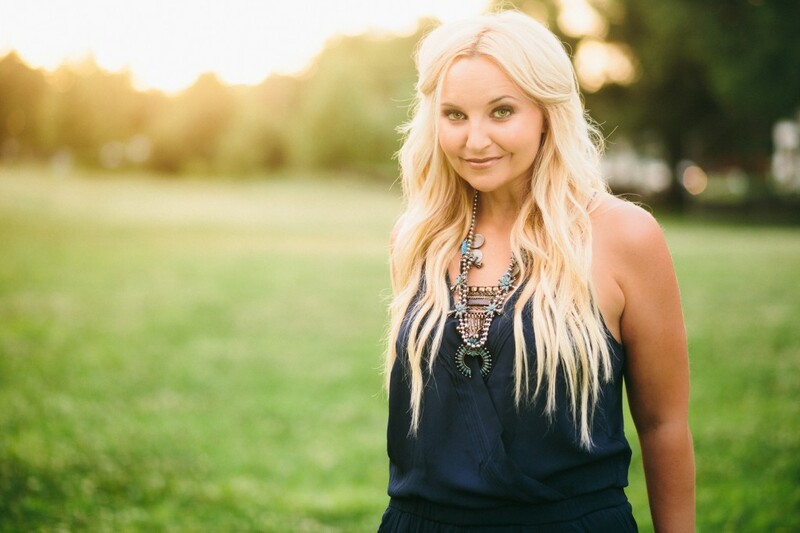 She’s also written songs recorded by Keith Urban, Lauren Alaina, The Eli Young Band, Kelleigh Bannen, Trisha Yearwood, Ashley Gearing, and Billy Ray Cyrus, and had her song “Used” performed by Hayden Panettiere on the hit show Nashville. We caught up with the songwriter fresh off her first #1. Well first off I want to say Congratulations! Thank you! It’s been a fun week. Let’s talk a bit about “Beat of the Music” —sort of how it came about, the writing process, all that stuff. Well actually it was the first time Ross Copperman, Brett Eldredge, and I had ever written [together]—it was in January 2012, so it was cold. Brett had just been on a trip to an island in the Bahamas so he was telling that story and we got this beachy, Mexico feeling going in the middle of January. Ross Copperman was doing the track—we were in his studio, and so they had this fun upbeat track, and once they started that—I remember hearing that and instantly I just sang “fallin’ in love to the beat of the music” and that was it. I remember it being just super easy and fun. That night, I was listening to the demo we had done that day and Brett was like “I can’t stop listening to it.” When I got home that night, I kept driving down the street past my own house and looping the track. I wanted to keep listening to it. Tell me about your weekend. Where were you when you heard “Beat of the Music” was officially #1? We were so pumped this weekend—I was actually at a wedding. It was around 10:45 when Brett texted me and broke the news. So Ross and Brett and I were texting each other and calling each other and FaceTiming. I had champagne at my house in the fridge, and Brett was on the bus and had a bottle of Dom Pérignon and was with his band—we could hear them screaming in the background. And then I had to call my dad and was like “it really actually happened! Happy Father’s Day!” and my mom was freaking out. It was so crazy. And then I just cried the next day in church—you would’ve thought something bad happened, but I was just so grateful. Was it your first number one? Yeah—it feels real, but it kind of doesn’t at the same time. Well I’m sure it won’t be the last. Oh thank you so much. I hope, hope, hope and pray. It’s been a lot of fun. It’d be fun to have this much fun again. Talk to me a little bit about your whole background and how you got started with writing. I grew up in the Dallas area. There’s a lot of music in that whole city. Texas is so huge—there’s so many talented people from there. I mean, Miranda is from there, Kacey Musgraves is from there, Beyoncé is from there! Maybe there’s something in the water. But I was always writing songs. This sounds so made up—but I can remember making songs when I was as little as elementary school, like kindergarten and stuff. My mom saved them. They’re the most horrific looking things, but you could tell I was trying. I started performing my songs out and about my freshman year of high school. When I was in college, I started a band in Austin, Texas. I’d go to school Monday through Thursday and then play in Austin or San Antonio or Dallas. When I was in college, I met Radney Foster—he wrote songs with Keith Urban and Sara Evans—he’s amazing. He said “you need to go to Nashville. You could totally do this.” I always wanted it—so I made the move in March 2004. So do you still do solo performances, or now just strictly behind-the-scenes stuff? I perform here and there, but more just organically. I have a songwriting career with a hint of artistry whenever the wind catches me. Occasionally I’ll end up in New York or Chicago playing a really cool club. My sister lives in California and there’s this really cool surf bar that I’ll play sometimes. It’s so cool—people dock their boats outside and bring their dogs. I’ll play in a corner by the pool table, just as a “good for the soul” kind of thing, but people are friendly they’ll come back and listen. There’s a spot in Connecticut that I’ll go and play at. I’ve found all these little places around the country that people are really nice—they’ll let me come sing my songs. Mostly I like to do songwriting, but I would like to make a record this year. That’s definitely something I wanted to ask you about. As far as your own work, are you working on stuff for yourself more at the moment? My main focus when I go to write every day is just to make a great song—whatever that may be. It’s just been in the back of my mind to just start taking some of these songs for my own project. I get a certain feeling—can’t really explain it, but I feel a little more connected to it. There’s a song I wrote with a singer/songwriter, her name is Lori McKenna—she wrote “I Want Crazy” for Hunter Hayes and a whole bunch of stuff for Faith Hill… She’s just massively talented. She makes records every year or every other year, but her main thing is songwriting too, so I kind of look up to her to see how she balances the two things. There’s definitely been a recent trend in hit female songwriters releasing music under their own name. Yeah! I really enjoy what Brandy Clark did recently with her 12 Stories record. I don’t even think she went out on a limb—people were just smart and it connected and I think that’s kind of the same thing with the Kacey Musgraves record. If anything I just want to aim for something like that. Even just making it available digitally for the public to buy, so when people come to my shows, they can follow up and find it on iTunes. I’ll usually have little albums in my guitar case or purse—I don’t know how cool that is anymore. In terms of when you’re writing for other artists, how often are you writing with the artist, or are you just writing with another writer? And how often do you have a particular artist in mind. How does that all work in the songwriting process? For instance, yesterday I wrote with Zach Crowell (“Cop Car,” “Where It’s At”) and Jon Nite (“Whatever She’s Got,” “Beachin’”). Zach pulled up this drumbeat and we built a track around it—by just throwing out melodic ideas or guitar riffs. I had this quirky idea. It was kind of just a different idea, but we thought maybe we should kind of just go with it—let it be a little crazy. And maybe it would be something for The Band Perry. Sometimes you could be aiming for something and you’ll miss it, but you hit another artist who wanted that, but didn’t know it. But the Band Perry has been looking—I know a lot of people are writing for them, or with them in mind at least. I write with Brett Eldredge a bit now. We’ve written five songs since the last record to put in the pile when he starts looking for songs off the new record. Brett got his start writing for established artists. Is he writing mostly for himself at this point now? I’m sure he’s writing, he’s writing mostly for his projects. He knows probably from his live shows, where he wants to take chances and what he’s most comfortable with. He always comes in with some idea. So when we’re writing with him—just from having the songs on the last record, there’s a certain comfort level there of just friends sitting in a room making music. It’s just really fun to go see live shows with the writer and see how the music translates on stage and with all the fans and feeling that energy. It helps you, when you’re going back to the writer room to think about what it all adds up to—which is when they’re doing a live show and they’re trying to pack rooms. Do you find that a lot of people you talk to outside of the music scene tend to know who the writers are, or just the artist performing it? It’s a bit of a mix. I think because of the TV show Nashville, people are starting to make the connection to that whole element of songwriting in Nashville, and that is where a lot of these songs come from. I think also from that show, people are starting to know names like Sarah Buxton and Caitlyn Smith, and television in general has helped that too because after a show when they say “Tonight you heard music by…” and then you can go find that music and get turned onto something new. In terms of songwriting, it’s been cool that Nashville has brought in songwriters to be featured characters on that TV show—I think it’s really helped. I know growing up—maybe I was the exception, but there are people like me who probably read the liner notes and see who writes each song. I know a lot of people just hear a George Strait song and assumes he wrote it. And maybe he did! He’s written some. But there’s a lot of them that have been written by amazing songwriters. Speaking of Nashville, you had a song on the show, right? Yeah, I did! It was the first season, it was the second to last episode, and it was the song that Hayden Panettiere performed called “Used.” I wrote that song with Ross Copperman as well. Hayden’s character was performing for some important industry people and she was a little bit intoxicated and last second she says “I’m gonna sing this other new song” and she starts singing “Used,” so that was really cool. Does the show do a good job of presenting that world of the music industry in Nashville? Obviously it’s dramatized, but do it think it honors it well? I think it does, especially with the show interpreting the songwriters—that’s done a lot of good for the songwriting community. As far as the lingo they use, it’s accurate. In our world—when an act “holds” a song, they get first dibs on recording it for their record and so it kind of just gets placed in their camp, so to speak. On the episode Scarlett and Gunnar get a hold for the first time and people are popping champagne and I was like “What?? That does NOT happen.” It’s not at all [a guarantee] at that point. But there’s some ebb and flow in the music business that I think we’ve all learned to be excited about the little things—they can give you something to look forward to and you can start imagining the possibilities. Sort of off-topic, but I wanted to ask you about the gender divide in country. As a female songwriter, what’s your take on the lack of female artists on country radio? I kind of experienced a little of that this year with a song I had out on Sara Evans’ album called “Slow Me Down.” It got to #17 and she’s an established artist: she has a lot of success, and I think had radio been more open to supporting female acts that it would have gone higher, you know? And as a songwriter, like 3 years ago I had a publisher tell me like “Stop writing girls songs. There’s no girls on the radio, there’s no point, you can’t get ’em recorded.” And so I started writing guy songs and will occasionally write something for a girl, but mostly guys. I don’t know the radio side of it all and where the change needs to happen, but I do know a lot of girls that, in my opinion, are making great music. There’s little whispers of people saying it’s gonna change, there’s gonna be something that’s gonna tilt it and put girls back on radio, but it is pretty daunting right now to think about how little women there are on the radio. Any young hopefuls you think might make a dent on country radio soon? There’s a bunch of amazing girls coming out. There’s these teenagers on Big Machine called Maddie & Tae and they’re gonna be out this summer with a song that I think is just gonna blow people out of the water. They’re just incredibly talented, beautiful, determined, driven, all the above—they’re just so made to make music and perform and I think that’s gonna be really strong for the female side of things. Tonight I’m playing a show called “Girls of Summer” and it’s 13 female singer/songwriters in Nashville. The cool thing about women not being on radio is that we’ve kind of come together and said like “huh, this has to change.” So hopefully it will. For more on Heather Morgan, check her out on her website, Twitter, and Facebook.